djay Ambassador DJ Ravine mixing with djay Pro on Microsoft Surface Studio – Check it out! 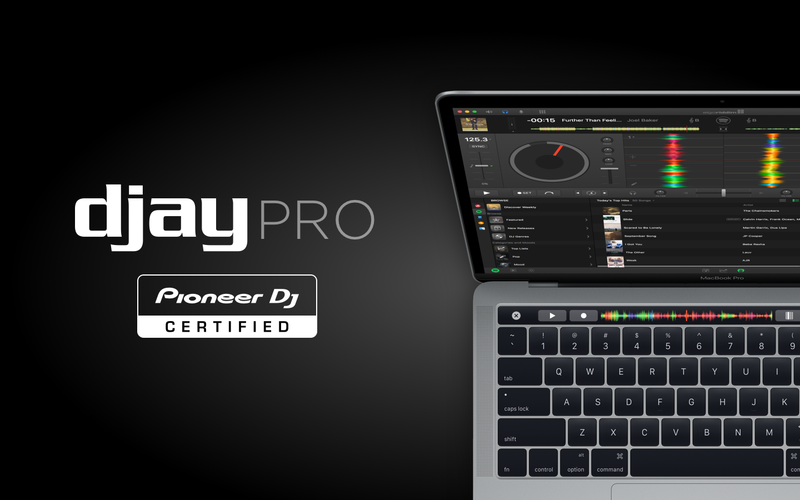 Get a free trial of djay Pro Windows. 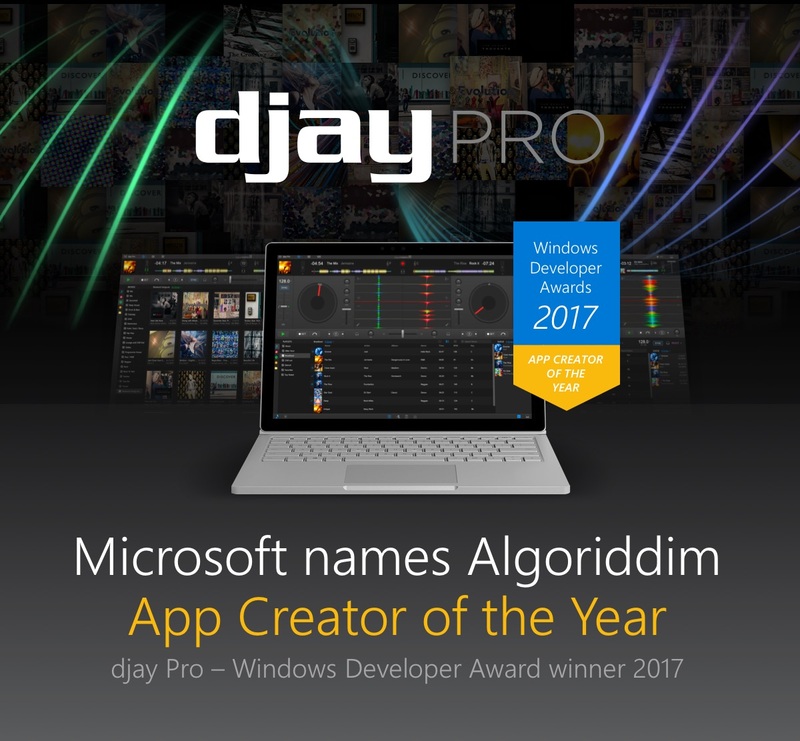 We are incredibly honored that Microsoft has recognized Algoriddim as a winner of the first Windows Developer Awards for our pioneering work with djay Pro on the Windows 10 platform. djay Pro’s deep integration with the Windows platform delivers an immersive experience with low-latency audio, smooth graphics, and plug-and-play hardware support. djay Pro opens a new chapter for DJs on Windows as the first solution with native Spotify integration, and includes innovative features such as Surface Dial integration for a truly native Windows 10 experience. 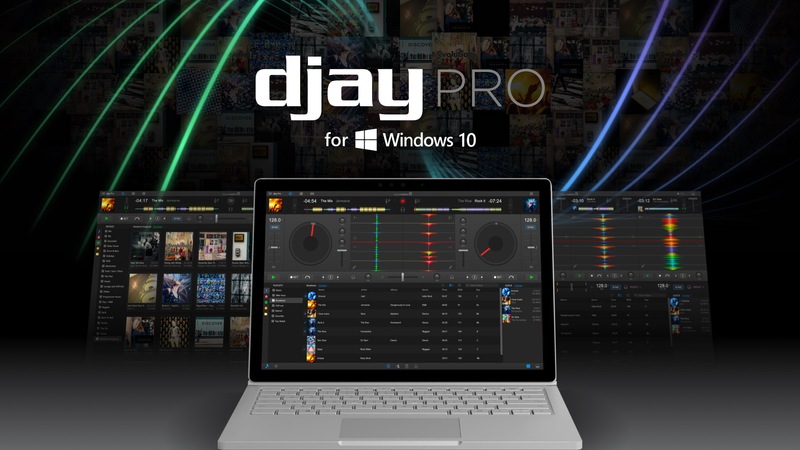 Today, we’re excited to introduce djay Pro for Windows. Created from the ground up for Windows 10, djay Pro provides a unique experience that bridges desktop and touch interaction while being the world’s first DJ software with Spotify integration on Windows. It includes a powerful set of features including high-definition waveforms, four decks, audio effects, and hardware integration, giving you endless creative flexibility to mix music on Windows. We’re excited to announce djay Pro 1.4.3, a free update to our Apple Design Award winning djay Pro software for Mac. The update comes with major new features including plug & play support for Pioneer DJ NXS2/TOUR1 set-ups, enhanced Touch Bar integration on the new MacBook Pro, and Spotify Browse access with extensive curated content for DJs to find, play, and mix new music instantly. We’ve partnered with Pioneer DJ for a seamless plug-and-play integration of djay Pro with CDJ-2000NXS2 and TOUR1, the worldwide club standard for professional DJs. For the first time, you can access Spotify and iTunes playlists directly from the CDJ screens including displaying colored waveforms, song information, and cue points. Using LAN Link, you can connect up to four CDJ-2000NXS2 players with your DJM-900NXS2 mixer via LAN cables, then simply use a single USB cable to connect their Mac to the mixer and everything syncs seamlessly (same for CDJ-TOUR1 players and DJM-TOUR1). Together with the mixer’s built-in audio interface, this means that a single USB connection powers both audio and HID control, resulting in unprecedented simplicity for setup. 12-year-old DJ Rena takes things to the next level in this latest DMC-style turntablism routine, using djay Pro for Mac and the Reloop Beatpad 2 DJ Controller. The Reloop Beatpad 2 works with all Algoriddim Apps.